When Kevin and I began dating our favorite place to go to spend time together talking over a meal was Olive Garden. Fast forward 15 years and we still love eating there however adding work, school and 3 children into that mix it is really hard for us to get there to eat and honestly it is really expensive for my family of 5. My awesome husband loves their soup and until recently I just never thought about making it at home. I am scared of soup recipes. I can't explain it but there is just something about soup. I like the normal staples - potato, chicken noodle, tomato, vegetable. I guess because their safe choices. After scrolling through Pinterest the other week and seeing this I knew I had to make it for my awesome husband. Cook ground beef. Drain beef and set to the side. Put a little oil in pan and add carrots, celery, onion and saute for about 5 minutes. Then add garlic and cook for another minute. Add tomato sauce, beef broth, water, canned tomatoes, sugar, basil, oregano and the ground beef and some salt and pepper. Cook for about 30 minutes. Cook pasta as directed on package separately, drain. 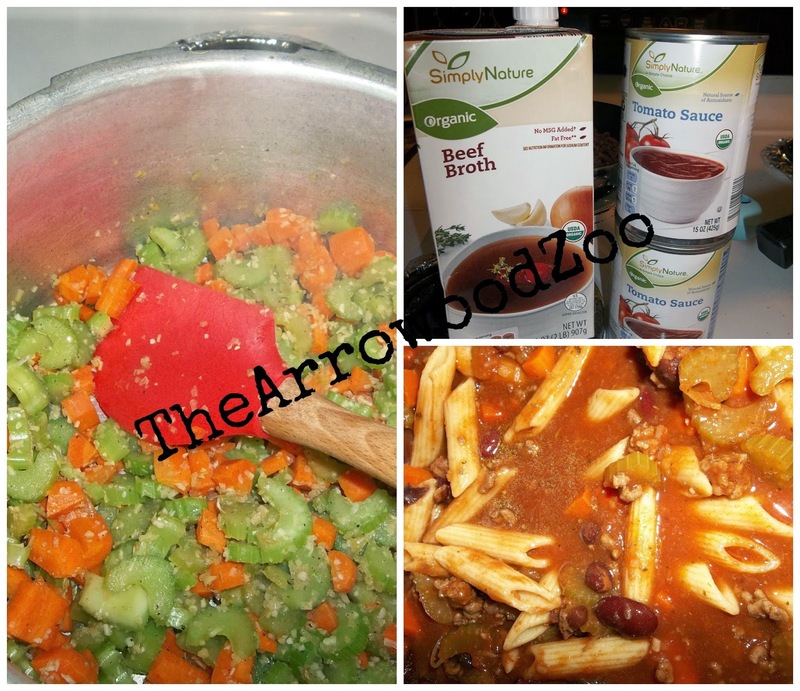 Add cooked and drained pasta to the soup along with beans. Top with cheese and your ready to enjoy! 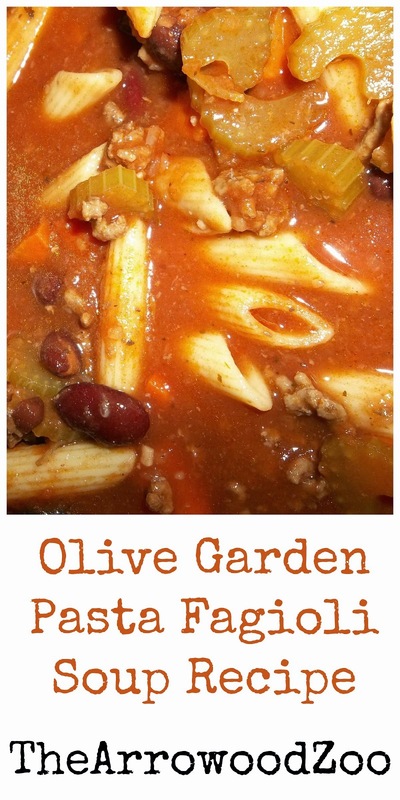 This wasn't as good as Olive Gardens soup but I will be honest it was still a very good soup recipe.